"This classic long drink is as refreshing as a summer day is long. The rum Rickey combines lime juice and rum with ice and club soda for a fizzy, refreshing cocktail for a hot summer day." Pour lime juice and rum into ice-filled highball glass and fill with club soda. Stir. Add a wedge of lime. A refreshing summer classic starring rum, lime juice, and a splash of soda. This is perfect as written. Make sure you use fresh limes and good rum - it matters! 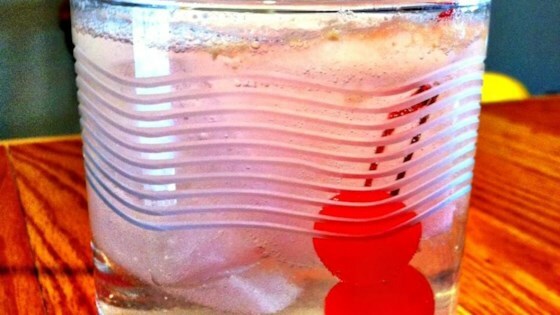 This is a perfect, refreshing cocktail!